Dr. Marvi Matos has been promoted to Director of Chemical Technologies, Metals and Ceramics in Boeing Research and Technology. In her role, Marvi is responsible for the technology portfolio strategy, planning and execution in R&D of materials and processes in the areas of chemicals, metals, ceramics, mechanical parts and systems. She serves an organization of more than 450 people located in five US sites with many global collaborations. Marvi is a blogger for Borinqueña, a site within the Ciencia PR website with the mission to inspire young women to pursue careers in STEM. She also blogs for the Huffington Post in support to the LGBT community. She currently mentors five women in engineering and two engineering students. Marvi is married with two daughters and her focus is a healthy and balanced life. In her own words,"Embracing diversity is the ability to celebrate natural variability so that every person can live a healthy and productive life." After graduating from EDI, Nácaly Torres became the lead of her group of Industrial Engineers, working with Automaton and new technology. Meanwhile, she also continued her MBA and graduated in February 2015. But recently, Nácaly has been selected as a first-line manager to lead the Boeing Company's Twin Aisle Industrial Engineering Team, supporting several areas such as Body Structures, Interiors, Supply Management, and new automated processes. Reflecting on her new job promotion and success, Nácaly says, "EDI was an important step for my personal and professional career. The program gave me the chance to intentionally think about my goals, leadership skills and cultural challenges, expand my professional network and get involved with our community." “We recently returned from a very emotional and life changing 3 week trip to Nepal to provide assistance to the victims of the massive earthquake that has left thousands of men, women, and children without adequate food, water, shelter, and medical supplies. I feel so blessed to have been able to assemble a great and very successful team consisting of all volunteers from 9 major corporations. We were able to work side-by-side with other charitable organizations such as the Red Cross and the Peace Corp to deliver food, water, and desperately-needed medicines to thousands of mountain-dwelling villages throughout the region. We also assisted in rebuilding many of the roads leading to their villages that were wiped out by the earthquake. In addition, since the team I put together consisted of so many volunteer professions such as doctors, nurses, and engineers, I also made it a point to include many tradesmen as well, such as carpenters and electricians, so we were also able to construct hundreds of temporary mini homes for the many whose homes were completely demolished! Before we left Nepal we were able to restore 11 major roads leading to the most devastated and populated villages and provide people with enough food, water and medications to sustain them for months, and hopefully long enough to get their lives back to where they were prior to this horrific disaster. As a result of our efforts, my team and I were asked to be part of an advisory panel and speak in Washington D.C. at President Obama’s council on Global Humanitarian outreach programs to discuss lessons learned and how we can be better prepared when another disaster hits anywhere in the world. Currently, I serve on President Obama’s America’s Workplace Diversity and Inclusion Council, which strives to empower all people of color to reach beyond their current aspirations in their current careers in order to become the present and future movers and shakers in all industries of this country! Although I was very proud of what my team and I had accomplished, I was equally as proud to represent the team as not only their leader, but also as an alumni of EDI, whose training and inspiration always drives him in his endeavors throughout the world and in return, makes it a better place by virtue of all the things that the EDI organization teaches and stands for!" Recently in May, César Amaral, launched his solo singing career after leaving a ten year banking career. Though he’s always wanted to pursue music, César realized it was time after experiencing EDI’s cultural program. At EDI, César learned that sometimes life requires a person to go out of their comfort zone. “Leaving stability is very uncomfortable, but it was a calling I had to explore,” says César. Thinking about his childhood dream to own a musical empire (solo singing career, band, etc. ), César took the plunge and established his solo-singing career, fulfilling a life-long dream. But he also wanted to combine it with his love for fitness, “My calling was connecting the stuff I love (music and fitness), and taking it a step further by using it to help people. Combining Mexican culture (music, food, language, etc.) with an exercise program that people can relate to, there’s nothing like it out in the world.” At a later date, César will announce more information about his fitness program, MX180. Through EDI’s community projects, César was also able to experience the rewards of making a real-time impact in his community. “EDI taught me that we must give back our community through nonprofit work. 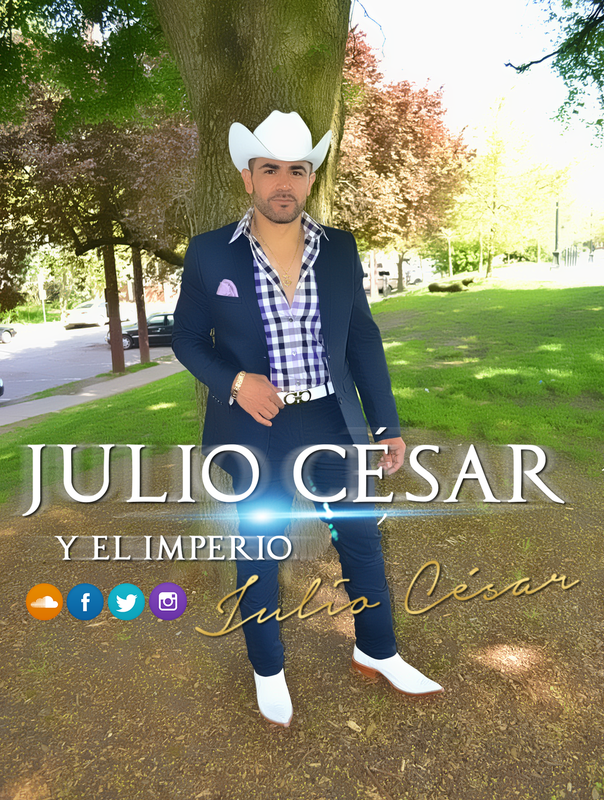 So through the end of 2015, all of the online sales of my new single, 'Al César Lo Que Es Del César,' will be donated to El Centro de La Raza, specifically to build Plaza Roberto Maestas, a housing community of over 100 apartment units for low-income families.” The single is now available on iTunes and CDbaby. Follow César on Facebook, Instagram, and Twitter to hear more about his fitness and music ventures.